Call me paranoid or simply independent-minded but I can’t help feeling that the latest terror incident in London is not what it seems. For a start the suspect doesn’t have any known ties with Muslim extremists, or political extremists of any sort for that matter. In fact Salih Khater has been described as a “polite and decent chap“, whose main interests were “keeping fit” and “football”. So what made the 29-year-old immigrant from Sudan knock over cyclists and drive into crash barriers near Parliament? If he had no affiliations with any extremist group what motivated him? A CCTV video (below) of the incident offers a clue. Salih Khater’s vehicle can be seen driving fast through heavy traffic near Parliament. Behind him, apparently following him is an unmarked van. 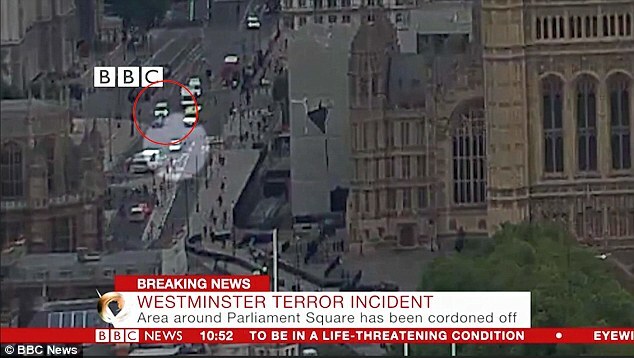 Several police officers involved in the 7/7 investigation have suggested that it is an unmarked police van that’s following him. Note that those suggestions are not coming from “conspiracy theorists” but from former police detectives. The authorities have denied this but that doesn’t alter the fact that there is something deeply suspicious about the van and the way that it appears to be following Salih Khater. All the more so as once Khater has driven into the crash barriers the van draws up alongside and parks itself right next to his crashed vehicle. There have long been claims that governments, particularly in the UK and U.S., have developed the technology for electronic mind control. There are a number of accounts from those who claim to have fallen victim to such technology. If Western governments had developed such technology they would undoubtedly want it kept secret. Doing so would allow the authorities to use it for their own ends without suspicion because no one, outside of a select few, would know the technology existed. 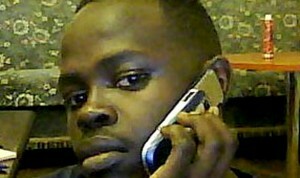 Was Salih Khater targeted by such technology. Was he effectively being controlled by the unmarked van that follow closely behind him? We reserve judgement but such questions need to be asked because these events are being used to manipulate the public and, possibly manoeuvre us toward a wider conflict. Ed.